Zayo Group announced that it is using Ciena’s WaveLogic Encryption solution to deliver the enhanced network security increasingly required by today’s enterprises. This will allow Zayo to quickly upgrade existing customers and offer new services to protect highly sensitive in-flight data. Zayo, a long-time Ciena BizConnect partner, owns and operates a 112,000-mile network in North America and Europe, providing connectivity to thousands of data centers, enterprise locations, carrier exchange points, wireless towers, media centers, entertainment venues, financial exchanges and cloud providers. Paulina Gomez is Specialist of Product and Technology Marketing at Ciena where she works to increase the profile of Ciena’s Converged Packet-Optical solutions and technologies to the market. Paulina brings a wealth of experience having spent nearly 20 years working within the telecommunications industry. Zayo Group yesterday announced that it is using Ciena’s WaveLogic Encryption solution to deliver the enhanced network security increasingly required by today’s enterprises. This will allow Zayo to quickly upgrade existing customers and offer new services to protect highly sensitive in-flight data. 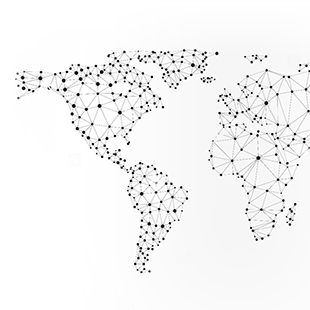 Zayo, a long-time Ciena BizConnect partner, owns and operates a 112,000-mile network in North America and Europe, providing connectivity to thousands of data centers, enterprise locations, carrier exchange points, wireless towers, media centers, entertainment venues, financial exchanges and cloud providers. Zayo’s offerings encompass both dark fiber and a range of lit services, including wavelengths, Ethernet and IP. As demand for real-time access to mission critical transactions and customer data increases, protecting information as it spans the globe has become critically important. 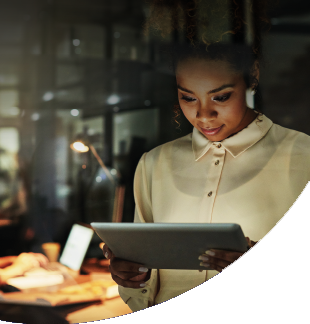 Zayo is providing greater security for its enterprise and wholesale customers’ data, without any impact to application performance, through Ciena’s FIPS-certified AES-256 WaveLogic Encryption solution. 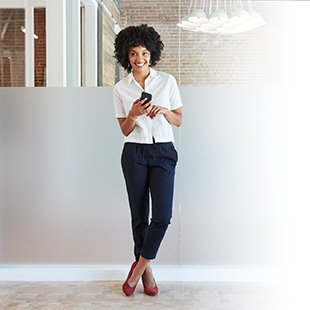 Whether an enterprise has a fully outsourced managed optical solution or an in-house, dark fiber network, the Ciena and Zayo encryption solution can be easily and cost-effectively integrated into the network. Zayo is also enhancing the user experience by providing a dedicated portal, based on Ciena’s MyCryptoTool software, which gives Zayo’s customers full control of the encryption security parameters associated with their critical data. 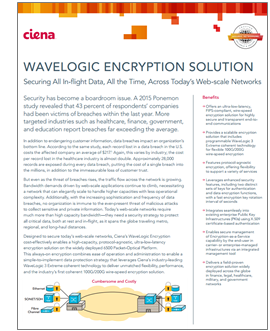 For more on Ciena’s WaveLogic Encryption Solution download the solution brief or watch the demonstration in the below In the Lab video.